Hi everyone, just a quick blog here. As many of you know, our announcement of the wedding came out in The Daily News a few weeks ago. And recently, it also came out in Orio, in thier monthly magazine. Although it is entirely in Euskera, I figured you might like to see the language. Our names are the first under EZKONDUTAKOAK. The announcement says 'Joseba Brit Elola and Amanda Maye Gonser, in Orio, on June 18th.' If you figured that out - awesome! 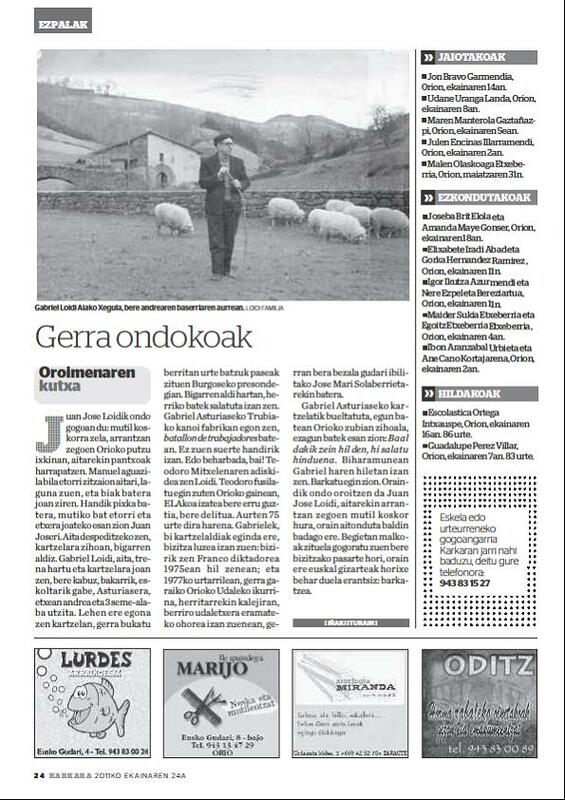 You can read Basque!